Aboriginal Rock Art in the caves at Wary Bay, Bigge Island, Kimberley, Western Australia. 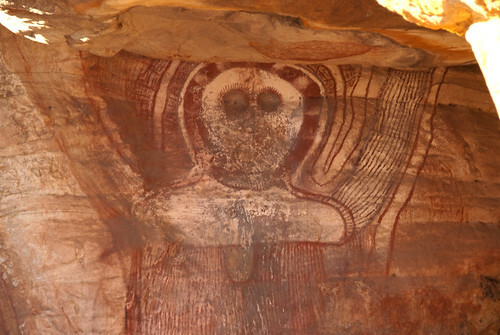 The paintings include examples of first contact art and Wandjina figures. The rock art was created by the Wunambal people.